What Is The Acts of Paul and Thecla? What is the Acts of Paul and Thecla? Is it inspired by God or a product of man? 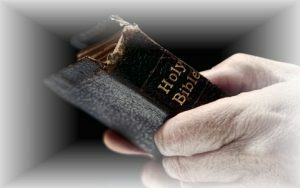 There are many books which many claim to belong in the Bible, but upon close examination, these books, called the Apocrypha, are not from God but from mankind. The Apocrypha are books that have never been canonized and have never been accepted as part of the Holy Bible, and I hope to show you why they don’t belong in the Bible. 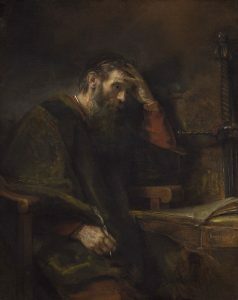 By definition, the Apocrypha or Deuterocanonical claim to have biblically related writings, but they are not considered part of the canon of Scripture and have never been widely accepted as “God-breathed” or of divine origin by the vast majority of biblical scholars, by the Jews, and by the church. These books do not belong in the Bible for several reasons, one being that Jewish scholars have rejected them from the beginning, and do not place them in the category of God-inspired, therefore, they are not part of the 66 books of Scripture that presently make up the Bible as we know it, nor do the Jews accept any of the Apocrypha as part of the Old Testament. They may contain some biblical facts or historical accounts, but they have never been accepted by the vast majority of Christianity and Judaism because they are not fully inspired and divinely attributed to God. Besides that, the Apocrypha contain doctrinal and even historical errors, so they are not even reliable reading material, and the Word of God is inerrant or without error. The Apocrypha might be inspiring, but they are not inspired by God since most of these books have uncertain or unknown origins and their authorship or authenticity is highly questionable. Some of the books of the Apocrypha or Deuterocanonical include 1 Esdras, 2 Esdras, Tobit, Judith, Wisdom of Solomon, Ecclesiasticus, Baruch, the Letter of Jeremiah, Prayer of Manasseh, 1 Maccabee, and 2 Maccabees, but there are others like the Apocalypse of Peter, the Shepherd of Hermas, the Gospel of Judas (which is agnostic), the Epistle of Barnabas, and even the Gospel of Mary, but not one of these are inspired by God. How do we know that? The largest issue with these books is that they contain a great deal of error, and that presents a real danger that some of these teachings or accounts might be thought of as factual or as being representative of God’s Word, which clearly they are not. The word Apocrypha means “hidden, spurious or esoteric,” and the Greek word “Apocrypha” means “hidden away,” and frankly, I believe they should have stayed hidden. All we need is all that we already have in the 66 books of the Bible. The main things are the plain things (e.g. John 3:16; John 3:36; Acts 4:12). Besides, the early church went through a lengthy process of examination and these books were deemed as unworthy to be part of the canon of Scripture. In the end, some were considered historical, while most were considered heretical and not God-breathed. That’s because these “books” clashed with biblical doctrine already contained in the 66 books of the New Testament. If I want to read a history book, I’ll check one out. Some of it may contain facts, but some facts may be questionable, but if I want truth, I must go to the Bible. History or manmade books don’t change people. God’s Word does! The Acts of Paul and Thecla is actually from a second-century book called, the Acts of Thecla. Thecla is a woman who allegedly heard the Apostle Paul preach and becomes a convert. She supposedly helps Paul break out of jail by bribing the jailers, and by the way, where Scriptures or church historians are silent on this, and then she was supposed to have been burned at the stake, but at the last moment, a “miraculous” rain storm puts the fire out. After all this, she manages to escape and rejoin Paul, and according the Acts of Paul and Thecla, she is thrown into a pit with wild animals, but a lioness protects her. Later, she is said to have jumped into a pool full of seals, and seals that are man-eaters, but Thecla is once again protected from death and is covered by heavenly fire that kills the animals. A final attempt on her life is made by throwing her to the bulls, but once more she is saved by a supernatural fire. The conclusion is that the Acts of Paul and Thecla are not inspired by God, but are obviously the work of someone with a good imagination…and for one thing, someone who needs to understand that there are no such things as man-eating seals. These are just a few of the errors we find in this book, so it is better to study this book to contrast and compare it with what is true; the authenticated Word of God, which are the 66 books we have now. Apparently Satan has his own books, because these books are not from God, and they most certainly don’t belong in the Bible. Honestly, I believe they belong in the trash and should be burned. They have no more redeeming value than a good fictional book would, and it’s about as reliable as the Da Vinci Code, which is as worthless as the paper it’s printed on. I did find 3 facts in the Da Vinci Code that were true; Rome is in Italy, London is in England, and Paris is in France. The Acts of Paul and Thecla are ideologically different from the rest of the books of the Bible, so it’s easy to conclude these books, along with the other Apocrypha, do not belong in the Bible. They might make for interesting reading and may even contain a few historical facts that are true, but most all of them contain both doctrinal and historical errors, and who wants to read a book that portends to be from God and yet contains errors? Not me! Why waste your time on these books when we have all the revealed Word of God we will ever need? Why mix truth with error? The only real use for the Apocrypha is to show how full of holes they are, and why they do not belong in any Bible. Other than that, I say they’re a waste of space in your library, and a waste of time in reading…unless you’re teaching on false gospels or the uninspired works of man. They’d be perfect for that. Here is some related reading for you: What are the Apocrypha Books? Should they be in the Bible? Next post: What Musical Instruments Were Used in Biblical Times?